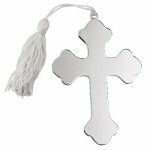 High quality resin Religious Theme plate features great detail, is available in two sizes and has room for an engraving plate for personalization. This finely sculpted full color award utilizes our Tri-Mount system, allowing it to be mounted on a Wall, mounted on a plaque or to stand alone on a desk. The perfect thing to show appreciation or recognition for someone, it comes in a white gift box with a clear front so that you can see the award through the box. 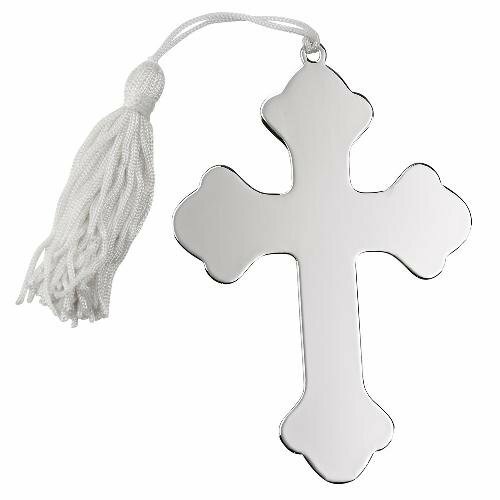 Cross Key Chain , NP 2.5"
Cross with White Ribbon, NP 4.75" L X 2.5"